Round Nine would see the leaders doubled from four to eight. 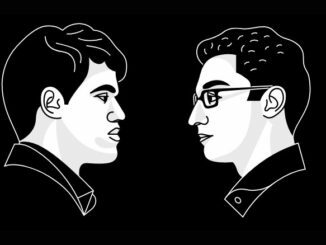 Maxime Vachier-Lagrave and Etienne Bacrot had a bit of a tame draw with each other. The Queen’s Pawn game never really looked like amounting to anything, White was comfortable but so was Black. The position became very quickly simplified, and the players steadily exchanged down in to an absolute dead game. Standard “I’m-not-looking-to-get-up-to-much” stuff. David Guijarro took it to Pentala Harikrishna’s Queen’s Indian, and was significantly better after sacrificing the exchange of a rook to obtain the bishop pair and a central passed pawn. White was way more active, and Black had no choice but to defend, batten down the hatches, and hope that White would lose his way. Black gave the exchange back in order to relieve the pressure and simplify the position somewhat, but was then still a pawn down. White was clearly better, but unfortunately the structure did not allow for progress to be made and the players repeated. GM’s Sethuraman and Wojtaszek had been on 6-points going in to this round, and their Ruy Lopez quickly took on a nature that indicated it would be a bad day for one of them. White became slightly more active, and with a space advantage, definitely held an initiative. Then Black decided to exchange of his well-placed knight on c4 for White’s on d2, which had yet to find a good square. This seemed a strange decision, especially when there was a much better knight on e5 if Black really wanted to exchange. And the fact that Black did seek exchanges indicates, perhaps, that he was already concerned about his position. The Queens came off soon afterwards, and then Black sacrificed the exchange of a rook for bishop and pawn. This did Wojtaszek absolutely no favours, and his position deteriorated rapidly until he was surrendering his point. If defending Champion, Hikaru Nakamura, was to have a chance of retaining his title, then he really needed to win in this round. And, with the White pieces, he made no secret of his intentions against Abhijeet Gupta. In a Grunfeld, the American Grandmaster went straight for the jugular, wasting no time in getting his h-pawn moving to probe the King position of his Indian opponent and castling Queenside. Black seemed to lack ideas on how to approach the situation, Gupta’s play (which included sacrificing the exchange) certainly proved ineffective and White was soon winning. Material down, for no compensation, Black resigned on his 27th. White had either not seen what Black had planned, or completely under-estimated it – 20…Rxe3!! Powerful play, picking up two nice pieces for a rook. There followed 21.exf7+ Kxf7 22.Rxe3 Rxd4 and Black had completely gained the upper hand. When White gave the rook back it led to one of the most curious combinations, which saw White promote a pawn to a Queen, only it was doomed and would have to give itself up a move later. The resulting endgame saw Black a pawn up, which was destined to soon be two. Black had obtained one of those positions where everything just fell in to place, and he soon had a very well deserved point. A very nice game! Rather rapid exchanges in Li-Lenic, led to Black equalising easily and obtaining the bishop pair. He was a pawn down, though, and so to cooperate so readily with White in exchanging down in to a rook and minor piece ending, was always going to be more in his opponent’s favour. And this it was, especially when the rooks came off also. It left White with a simple Kingside pawn majority. In this stage, Li completely outplayed Lenic, to convert his advantage and assure himself of a point. Tata Steel Chess Tournament 2017 Opens! 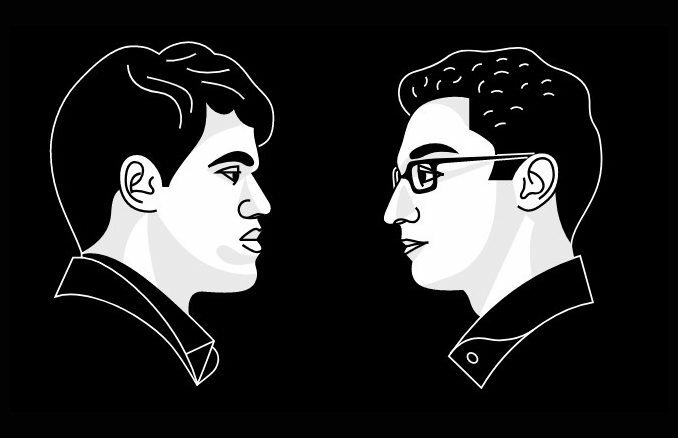 Carlsen vs Karjakin: Carlsen Pushes His Luck And Pays The Price.